Do not try this at home. 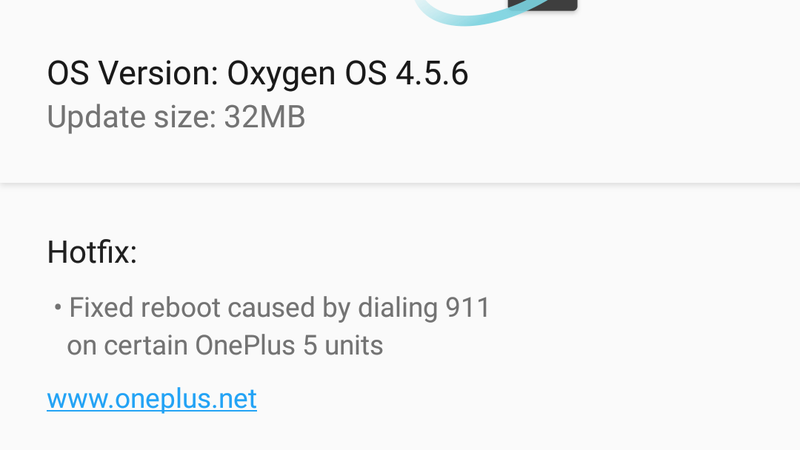 Concerned OnePlus 5 users have been reporting online that they’re having difficulties making 911 calls. It’s unclear if all OnePlus 5 models suffer from the same troubling glitch, but at least three users have claimed to have the bug on their device. Owners of the new phone posted on Reddit that every time they try to call 911, their device will abruptly reboot. OnePlus 5 owner Nick Morrelli posted a video of him exposing the flaw on his Facebook to prove it exists, but we’d recommend you don’t try to replicate this experiment yourself. Reddit users speculate the issue might have something to do with the phone’s GPS feature, and that it’s blocking any emergency line that uses the GPS system to provide location data to the operator. OnePlus told Gizmodo that they’re working with customers individually to solve the issue, but it did not provide any details on the bug. “We have contacted the customer and are currently looking into the issue,” a One Plus spokesperson said. “We ask anyone experiencing a similar situation to contact us at support@oneplus.net.